There are over 11 million disabled people in the UK, the majority of whom experience some kind of barrier when they want to use transport. For the able-bodied, choosing a car is often a matter of personal taste and style, but disabled people face a host of other considerations. 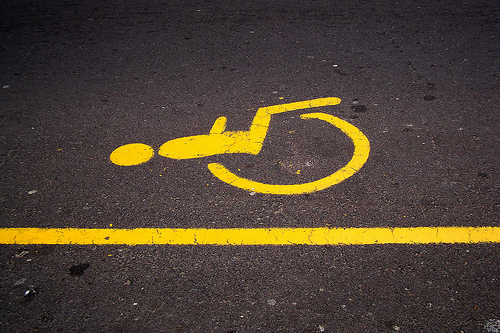 The most important consideration for wheelchair users is space and this will vary, depending on whether the disabled person is the driver or the passenger. For drivers, there are various options for adaptation, ranging from hoists and turny seats for ease of transfer to the driving seat, and also for wheelchair storage during the journey. For disabled passengers, the decision is whether to adapt the passenger seat, or to purchase a vehicle with a ramp or hydraulic lift so that transfer from the wheelchair isn't necessary. Comfort is a paramount consideration. Safety is equally important - if a WAV needs adaptations, these should comply with current legal and safety legislation and be supplied with a Certificate of Initial Fitness. Just like everyone buying a car, disabled people want as much choice of style and appearance as possible. Just because people have limited mobility, it doesn't mean that they want their vehicle to shout about it. Budget is a similar issue for everyone, too, but disabled people often live on limited budgets, so this further limits choice once comfort and safety issues have been addressed. Also, take some time to think about how the vehicle will be used. It is for long distance travel, or for local trips to the shops and to enjoy a full social life? How many passengers will be transported? Are there any parking requirements? Also consider whether automatic transmission would be easier, and whether additional heating or air conditioning would be helpful.